Now The Details: In Journalism, Does it Matter Who Pays Your Salary? In Journalism, Does it Matter Who Pays Your Salary? 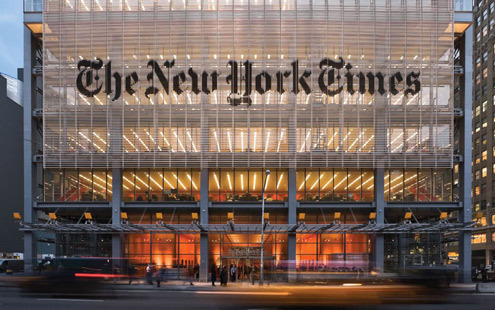 The public editor at the New York Times, Margaret Sullivan posted in her blog that a reader assumes she must be biased in favor of her employer because she takes her salary from the Times. To this one reader, this must mean she pulls her punches when it comes to criticizing the journalism at the paper. Sullivan thinks not, and as she rightly points out, someone will always assume that she is "gumming the hand that feeds her" to quote media critic Jack Shafer who is not a fan of ombudsmen. At NPR, I regularly got phone calls and emails from listeners accusing me of pulling my punches precisely because of who cut my check. I replied that I would be happy to be paid by a third party, if such a person could be found. The same criticism has been thrown at NPR in the past. But it can't be levelled most recently at the present ombudsman. Edward Schumacher-Matos was very tough on a six part investigative report on the foster care system in South Dakota. Management was sufficiently outraged, that it posted a sformal rejection of the Ombudsman's report. It can be found on the NPR website next to Schumacher-Matos' excellent adjudication. Mathew Ingram from GigaOm weighed in as well. He tweeted that having the ombudsman in the newsroom can cause an outbreak of nerves among the journalists. Journalists, in my experience, are not so easily intimidated. Being contrarians by nature, they might even go out of their way to be audacious, just to drive the Ombuds (and management) a little crazy (crazier?) and make things that much more interesting. And if location, location, location is anything to go by, public editors/ombudsmen have been found in many different places in various newsrooms. In the old New York Times building, the public editors were located on the 11th floor, not far from the publisher's office and about eight stories away from the newsroom. Michael Getler, when he was the Ombudsman at the Washington Post, was in a glass enclosed cubicle in the middle of the newsroom, Likewise Ian Mayes at The Guardian. The fishbowl effect was supposed to allow for private conversations, I was told. But everyone could see who the ombudsman was talking with. Vince Carlin and Esther Enkin, ombudsmen at the CBC had an office on the seventh floor of the Broadcasting Centre in Toronto - three floors above the newsrooms. At NPR, I was also three floors away from the newsroom. I preferred that distance so a private chat with journalists was possible. But olympian detachment is not a good quality for ombudsmen. A daily stroll through the newsroom is necessary, just to stay in touch, to pick up some useful bits of information or gossip (sometimes the same thing) and get asked for an ethical opinion. But I was careful not to act as a replacement for a reporter's editor. That relationship had to remain constant. As for Margaret Sullivan, she has shown that being the Times' public editor is a necessary part of a modern media organization. She has brought excellence and toughness to one of the most interesting jobs in journalism. But nowhere in the job description does it say it's supposed to be easy.